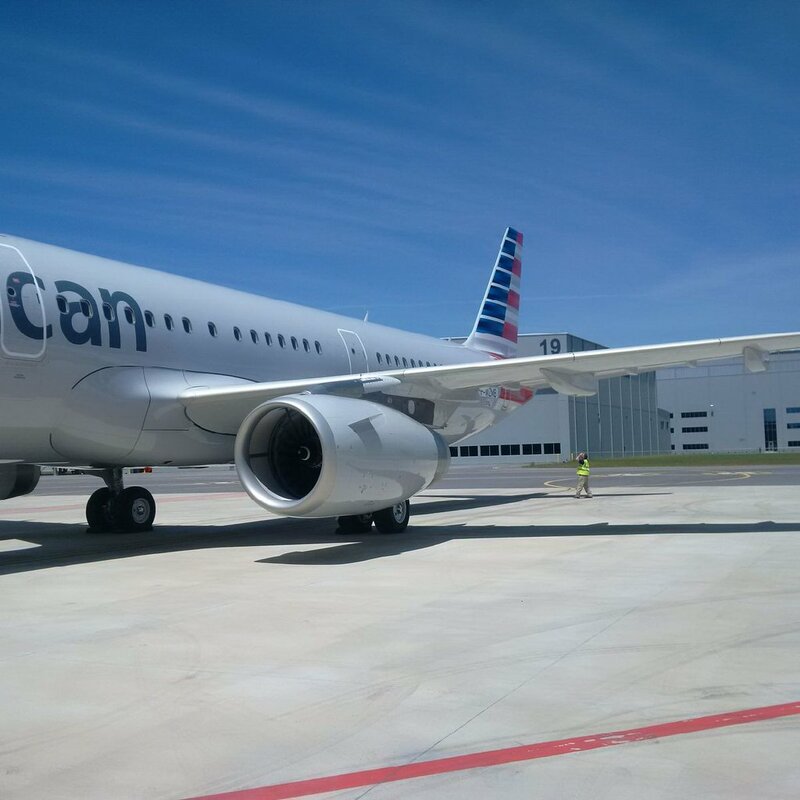 MOBILE, Alabama — American Airlines today claimed its first Alabama-made Airbus A321 passenger jet after a ceremony at the manufacturer’s production facility at Mobile Aeroplex. The A321 sporting American’s logo and colors is the second aircraft to leave the assembly line at Airbus’ new $600 million Alabama plant. The first – named “BluesMobile” — went to JetBlue on April 25. During today’s ceremony, American executive David Seymour said the airline will return to Mobile for 12 additional deliveries this year. ”It’s a very extraordinary accomplishment, I think, when you look back less than three years ago, you were breaking ground here for this facility, and today, we’re taking delivery of our first aircraft,” Seymour said. American operates the largest Airbus fleet, with more than 380 aircraft. The A321 delivered today is No. 182 of that model, making it a workhorse in American fleet, Seymour added. In addition to the American A321 delivered today, there are several other A320 Family aircraft in production at the facility. Airbus has said it expects to deliver four aircraft per month from the Mobile plant by the end of 2017. The passenger jet handed over to American today first flew on April 19 in a test flight that lasted nearly four hours. Tests were performed on the plane’s systems, engines and structure during the initial test flight. The Airbus Alabama facility now has around 350 team members. The Mobile Aeroplex facility is expected to support 1,000 jobs once production hits full tilt.